The Karaite language has justifiedly attracted the attention of Turkologists though it should also be of interest to students of Jewish languages (= the languages of Rabbanite and Karaite Jews); and what students of Jewish languages have to say about it should interest Turkologists, just as what the latter have to say should interest the former. Add new questions to the agenda of Karaite research. For example, the existence of an idiosyncratic type of periphrastic verb in at least Karaite, Judezmo, Yidish, and Ultra-Orthodox Ashkenazic English prompts the question of what the genetic relationships between the tokens of that type are. Reopens old questions. For example, the derivation proposed for Karaite כניסא '[Karaite (and/or Rabbanite?)] synagog', with phonological variants, according to which the word comes from Arabic. The author proposes a different etymology (possibly not original with him) , involving only Jewish languages (a more appropriate derivation for a Karaite word having that meaning), which takes the Karaite word back to Hebrew and/or to Jewish Aramaic. He holds a doctorate in Romance philology from the University of Barcelona and from 1975 to 1990 was a member of the Department of Hebrew Language and of the Yidish Studies Program at the University of Haifa, where in 1975 he became the first in the world to teach courses in Jewish intralinguistics (the study of the speech and writing of Jews). During that time, he edited and contributed to seven volumes of Jewish Language Review and two of Jewish Linguistic Studies. In 1990 he resigned his position at the University to devote himself fully to research and publishing. He is now composing a discursive dictionary of Yidish influence on Polish (a sample appeared in 2017) and another on Yidish influence on Israeli Hebrew. Aharon ben-Eliyahu. 1354. גן עדן. Ms. [the library of the University of Leiden holds one copy and the library of the University of Leipzig holds another; both unseen]. Aharon ben-Eliyahu. 1864. ספר / מצות גדול / הנקרא / גן עדן / באור כוונות המצות שבתורה ודיני ענינים הנכללים בתוכה חברו אהרן בהר״ר אליהו ניקומודיא (sefer hamitsvot hagadol hanikra gan eden beveur kavanot hamitsvot shebatora vedine inyanim hanichlalim betocha chibero aharon ben harav rabi eliyahu nikomodi(y? )a [= ‘The Garden of Eden / The big book of commandments, with an explanation of the purposes of the commandments in the Pentateuch and the laws governing matters included therein / by Aharon son of Rabbi Eliyahu, My Teacher, of Nicomedia …]. Yevpatoria [unseen]. Aharon ben-Eliyahu. 1866. ספר / מצות גדול / הנקרא / גן עדן / בבאור כוונות המצות שבתורה ודיני ענינים הנכללים / בתוכה חברו החכם האלהי והכולל הרב רבינו אהרן / בעל ספר עץ חײם וכתר תורה נב״ע בהר״ר אליהו / ניקומודיאו זצ״ל / יִצא לאור פעם ראשונה מונה ומתוקן על פי נוסחאות שונות כתיבות יד / חדשות גם ישנות / על ידי יהודה בכ״מ יצחק ז״ל סאװסקאן / גוזלװא / בדפוס מוהר״ר אברהם ורו׳ שמואל ז״ל פירקוויץ / שנת תרכ״ו לפ״ק. – available here: (1) https://babel.hathitrust.org/cgi/pt?id=hvd.hwmmzs;view=1up;seq=4 and here: (2) https://books.google.com/books?id=7aZQAQAAIAAJ&q=18#v=onepage&q=%D7%9E%D7%A7%D7%93%D7%A9&f=false]. Aharon ben-Eliyahu. 1972. Reprint of Aharon ben-Eliyahu 1864 (?) or 1866 (?). Israel.המועצה העליונה ליהודים הקראים בישראל (hamoatsa haelyona layehudim hakaraim beyisrael), that is, ‘the Supreme Council of the Karaite Jews in Israel’ (unseen). Andrusyshen, Constantine Henry & Krett, Jakiv N. assisted by Andrusyshen, Helen Virginia. 1981. Ukrainian-English Dictionary. Toronto. University of Toronto Press [“for the University of Saskatchewan”]. Ankori, Zvi. 1959. Karaites in Byzantium: The Formative Years, 970–1100. New York. Columbia University Press. Chernin, Velvl. 2011. Subbotnik Jews as a sub-ethnic group. – Website of the Euro-Asian Jewish Congress. 18 February. [http://eajc.org/page34/news22117.html; accessed on 12 November 2017]. Cohen, Martin A. 1978. Anan Ben David and Karaite Origins. – The Jewish Quarterly Review. New Series 68.3 (January): 129–145; 68.4 (April): 224–234. Darmesteter. Arsène. 1874. Juxtaposés de subordination. – In his: Traité de la formation des mots composés dans la langue française comparée aux autres langues romanes et au latin. Paris. Librairie A. Franck: 43–53. Davies, Graham. 2004. Was There an Exodus? – Day, John (ed.). 2004. In Search of Pre-Exilic Israel: Proceedings of the Oxford Old Testament Seminar. London, New York. T & T Clark International [= Journal for the Study of the Old Testament, Supplement Series 406]: 23–40. de Tollenaere, F. 1983. Woord vooraf. – de Vries, Jan. 1983. Etymologisch woordenboek. [Geheel opnieuw beweerkt door dr. F. de Tollenaere]. 13th ed. Utrecht, Antwerp. Uitgeverij Het Spectrum: 27–30. de Vincenz, Andrzej & Hentschel, Gerd. 2010. Wörterbuch der deutschen Lehnwörter in der polnischen Schrift- und Standardsprache: Von den Anfängen des polnischen Schrifttums bis in die Mitte des 20. Jahrhunderts. Online-Publikation des Bundesinstituts für Kultur und Geschichte der Deutschen im östlichen Europa im BIS-Verlag der Universität Oldenburg [http://lwp.ids-mannheim.de/art/wdlp/1265?top=3303; accessed on 17 May 2017]. Doroszewski, Witold (ed.). 1958–1969. Słownik języka polskiego. 11 vols. Warsaw. Państwowe Wydawnictwo Naukowe. Elgrably-Berzin, Gabriella. 2014. Avicenna in Medieval Hebrew Translation: Todros Todrosi’s Translation of Kitāb al-Najāt, on Psychology and Metaphysics. Leiden. E. J. Brill. Erdal, Marcel. 2007. The Khazar Language. – Golden, Peter B. & Haggai, Ben-Shammai & András, Róna-Tas (eds.). 2007. The World of the Khazars: New Perspectives: Selected Papers from the Jerusalem 1999 International Khazar Colloquium. Leiden. E. J. Brill: 75–108. Evetts, Basil Thomas Alfred & Butler, Alfred J. 1895. The Churches and Monasteries of Egypt and Neighbouring Countries Attributed to Abû Sâliḥ, the Armenian. Oxford. At the Clarendon Press [since the latest datable event mentioned in the manuscript occurred in January or February 1208, the editors assign the composition of the work to “the first years of the thirteenth century” (p. x); the book contains a number of passages of Jewish interest (pp. 9, 15, 26–27, 43–45, 87, 110, 134–138, 196–197, 222, 246, 306, 326, and 339; section V.D quotes in full the one on pages 196–197); avaliable here: http://www.coptic.org/language/Abusalih.pdf]. Firkovič 1915 = Фиркович, Моисей Яковлевич. 1915. Караимскій Kатихизисъ Bкратцѣ. Мелитополь. Н. З. Лемперт [an English translation, by Sophie Thompson, is available at http://www.briefcatechism2.estranky.cz/; Russian original unseen]. Freehof, Solomon D. 1963. The Chuppah. – Silver, Daniel Jeremy (ed.). 1963. In the time of harvest: Essays in honor of Abba Hillel Silver on the occasion of his 70th birthday. New York, London. Macmillan: 186–193. Frendo, Anthony J. 2004. Back to Basics: A Holistic Approach to the Problem of the Emergence of Ancient Israel. – Day, John (ed.). 2004. In Search of Pre-Exilic Israel: Proceedings of the Oxford Old Testament Seminar. London, New York. T & T Clark International [= Journal for the Study of the Old Testament, Supplement Series 406]: 41–64. GAARK = Государственный архив Автономной республики Крым [State Archives of the Autonomous Republic of Crimea]. Simferopol. Gil, Moshe. 2011. Did the Khazars Convert to Judaism? – Revue des Études Juives 170.3–4 (July-December): 429–441. Gold, David L. 1979. Recent Yiddish Studies from Germany, Switzerland, and the Netherlands. – Leuvense bijdragen: tijdschrift voor Germaanse filologie 68: 439–456. Gold, David L. 1982. The Jewish Alphabet. – Language Problems and Language Planning 6.3: 342–343. Gold, David L. 1987. A Few Notes on Yevanic. – Jewish Language Review 7: 132–138. Gold, David L. 1989. Entries of Jewish Interest in Siegmund A. Wolf’s Grosses Wörterbuch der Zigeunersprache and Probability Rankings for the Lexemicization of Foreign Concepts. – Gold, David L. 1989. Jewish Linguistic Studies. Vol. 1. Haifa. Association for the Study of Jewish Languages: 255–259. Gold, David L. 2009. When Chauvinism Interferes in Etymological Research: A Few Observations on the Supposed Vulgar Latin Derivation of Rumanian pastramă ~ păstramă, a Noun of Immediate Turkish Origin (With Preliminary Remarks on Related Words in Albanian, Arabic, Armenian, English, French, Greek, Hebrew, Judezmo, Polish, Russian, SerboCroatian, Spanish, Turkish, Ukrainian, and Yiddish). – Gold, David L. 2009. Studies in Etymology and Etiology (With Emphasis on Germanic, Jewish, Romance, and Slavic Languages). Edited by Félix Rodríguez González and Antonio Lillo Buades. Alicante. Publicaciones de la Universidad de Alicante: 271–375. Gold, David L. 2017. A sample from a discursive etymological dictionary, in preparation, of Polish lexical and semantic usages of definite, probable, or possible Yidish origin: On the etymology of German, Polish, Ukrainian, and Yidish nouns meaning ‘bench-bed’ (with thirteen guidelines for the study of Yidish influence on Polish).” – Németh, Michał & Podolak, Barbara & Urban, Mateusz (eds.). 2017. 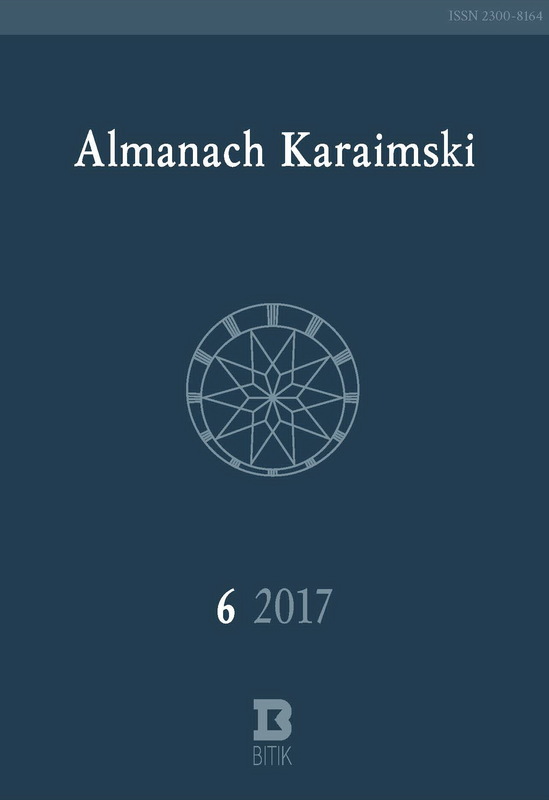 Essays in the History of Languages and Linguistics: Dedicated to Marek Stachowski on the occasion of his 60th birthday. Kraków. Księgarnia Akademicka: 219–278. Gold, David L. [in preparation]. Vestiges of Old High German in Western and in Eastern Yidish. Golden, Peter B. 2007. The Conversion of the Khazars to Judaism. – Golden, Peter B. & Haggai, Ben-Shammai & András, Róna-Tas (eds.). 2007. The World of the Khazars: New Perspectives: Selected Papers from the Jerusalem 1999 International Khazar Colloquium. Leiden. E. J. Brill: 123–162. Harkavy, Alexander. 1925. Yiddish-Hebrew-English Dictionary. 1st ed. New York. [Published by the author.]. de Houtsma, Martijn Theodoor & Wensinck, Arent Jan & Lévi-Provençal, Evariste & Gibb, Hamilton Alexander Rosskeen & Heffening, Wili (eds.). 1913–1936. The Enyclopaedia of Islam: A Dictionary of the Geography, Ethnography and Biography of the Muhammadan Peoples. 5 vols. Leiden. E. J. Brill & Luzac and Co. [reprinted as E. J. Brill’s First Encyclopaedia of Islam: 1913–1936. E. J. Brill. Leiden, New York, Cologne. 1993]. Harviainen, Tapani. 2013. Karaite Pronunciation Traditions: Modern. – Khan, Geoffrey et alii. (eds.). 2013. Encyclopedia of Hebrew Language and Linguistics: Volume 2: G–O. Leiden, Boston. Brill: 453–457. Jastrow, Marcus, 1926. A Dictionary of the Targumim, the Talmud Babli and Yerushalmi, and the Midrashic Literature. London. Luzac & Co. New York. G. P. Putnam’s Sons [available here: http://www.tyndalearchive.com/tabs/jastrow/]. Kizilov, Mikhail. 2014. National Inventions: Imperial Emancipation of the Karaites from Jewishness. – Cvetkovski, Roland & Hofmeister, Alexis (eds.). 2014. An Empire of Others: Creating Ethnographic Knowledge in Imperial Russia and the USSR. Budapest, New York. Central European University Press: 369–394 [with a partial biblography of earlier studies, ft. 11, pp. 373–374]. Kizilov, Mikhail. 2015. The Sons of Scripture: The Karaites in Poland and Lithuania in the Twentieth Century. Berlin and Boston. Walter de Gruyter GmbH & Co. KG. Klemensiewicz, Zenon & Lehr-Spławiński, Tadeusz & Urbańczyk, Stanisław. 1981. Gramatyka historyczna języka polskiego. Warsaw. Państwowe Wydawnictwo Naukowe. Krauss, Samuel. 1935. Die hebräischen Benennungen der modernen Völker. – Baron, Salo W. & Marks, Alexander (eds.). 1935. Jewish Studies in Memory of George A. Kohut 1974–1933. New York. The Alexander Kohut Memorial Foundation: 379–412. Kulikowski, Michael. 2015. Rome’s Gothic Wars from the Third Century to Alaric. Cambridge. Cambridge University Press. Lavrova, Natalie. 2010. Contamination: An Apt Linguistic Term or a Misnomer? – International Journal of Arts and Sciences 3 (16): 148–153 [available here: www.openaccesslibrary.org/images/HAR118_Natalie_Lavrova.pdf]. Mann, Jacob. 1931. Texts and Studies in Jewish History and Literature. Vol. II: Karaitica. Cincinnati. Hebrew Union College Press. Mardkowicz, Aleksander. 1932. Kart Sifcekłer. Eki Zemeri Ribbi Josefnin Uwłunun Jeszuanyn. – Karaj Awazy 2.4: 18–21. Mazin, J[acob Raphael] & De Woolf, S. 1927. A Manual & Grammar of the Yiddish Language: Yidish Self-Taught: Enabling an Englishman to Learn Yiddish Reading, Writing and Conversation.Third edition, revised and enlarged. London. R. Mazin & Co.
Mel’nyčuk et al. (eds.). 1982–2006 = Мельничук, Олександр Савич et al. (eds.) Етимологічний словник української мови [= An etymological dictionary of the Ukrainian language]. 7 vols. Kiev. Akademija nauk Ukrajinśkoji RSR. Instytut movoznavstva im. O.O. Potebni. Meri, Josef W. 2002. The Cult of Saints among Muslims and Jews in Medieval Syria. Oxford. Oxford University Press. Miller, Philip E. 1993. Karaite Separatism in Nineteenth-Century Russia: Joseph Solomon Lutski’s Epistle of Israel’s Deliverance. Cincinnati. Hebrew Union College. Modelski, Teofil Emil. 1910. Król „Gebalim” w liście Chasdaja. Studyum historyczne z X w. – Archiwum Naukowe. Dział I. Historyczno-Filologiczny 4. Lwów. Towarzystwo dla Popierania Nauki Polskiej: 413–534 [availabel here: http://www.pbc.rzeszow.pl/dlibra/docmetadata?id=5274&from=publication]. Moses, Lionel E. 2001. Is there an Authentic Triennial Cycle of Torah Readings? – Proceedings of the Committee on Jewish Law and Standards of the Conservative Movement, 1986–1990: 331–382 [on page 353, “Roumanian” (“Roumanian, Karaite, Ashkenazic and Sephardic rites”), should be Romaniote]. New York. The Assembly [= The Rabbinical Assembly of the Conservative Movement, Committee on Jewish Law and Standards]. Németh, Michał. 2009. Errors with and without Purpose. A. Mardkowicz’s Transcription of Łuck-Karaim Letters in Hebrew Script. – Studia Linguistica Universitatis Iagiellonicae Cracoviensis 126: 97–106. Németh, Michał. 2010. North-Western and Eastern Karaim Features in a Manuscript Found in Łuck. – Mańczak-Wohlfeld, Elżbieta & Barbara Podolak (eds.). 2010. Studies on the Turkic World. A Festschrift for Professor Stanisław Stachowski on the Occasion of His 80th Birthday. Kraków. Jagiellonian University Press: 75–94. Németh, Michał. 2011a. A Different Look at the Lutsk Karaim Sound System (from the Second Half of the 19th century on). – Studia Linguistica Universitatis Iagellonicae Cracoviensis 128.1: 69–101. Németh, Michał. 2011b. Unknown Lutsk Karaim Letters in Hebrew Script (19th–20th Centuries): A Critical Edition [= Studia Turcologica Cracoviensia 12]. Kraków. Jagiellonian University. Institute of Oriental Studies. Németh, Michał. 2011c. Zwięzła gramatyka języka zachodniokaraimskiego (z ćwiczeniami). [= Prace Karaimoznawcze 1] Poznań. Uniwersytet im. Adama Mickiewicza w Poznaniu. Wydział Neofilologii. Katedra Studiów Azjatyckich. Németh, Michał. 2014a. A Historical Phonology of Western Karaim. Alveolars and Front Labials in the South-western Dialect. – Studia Linguistica Universitatis Iagellonicae Cracoviensis 131.3: 247–267. Németh, Michał. 2014b. A Historical Phonology of Western Karaim: The Evolution of Consonant Harmony in the North-western Dialect. – Studia Linguistica Universitatis Iagellonicae Cracoviensis. Vol, 131. No. 4. Pp. 353–369. Németh, Michał. 2015. A Historical Phonology of Western Karaim: The Process of its Diversification into Dialects. – Studia Linguistica Universitatis Iagellonicae Cracoviensis 132.3: 167–185. Polliack, Meira (ed.). 2003. Karaite Judaism: A Guide to Its History and Literary Sources. Leiden and Boston. Koninlijke Brill NV. Poznanski, Samuel. 1911. Review of Modelski (1910). – Zeitschrift für Hebræische Bibliographie 15.3 (May–June): 74–76 [avaliable here: http://sammlungen.ub.uni-frankfurt.de/cm/periodical/pageview/2257866]. Poznanski, Samuel. 1916–1917. Karäische Kopisten und Besitzer von Handschriften. – Zeitschrift für Hebræische Bibliographie 19.4–6 (July–December 1916): 79–122; 20.4–6 (July-December 1917): 79–83 [available here: http://sammlungen.ub.uni-frankfurt.de/cm/periodical/titleinfo/2254995]. Rubin, Jennifer. 2016. Trump debacle shows why kids shouldn’t run the campaign. – The Washington Post (17 August) [available here: https://www.washingtonpost.com/blogs/right-turn/wp/2016/08/17/trump-debacle-shows-why-kids-shouldnt-run-the-campaign/?utm_term=.61e2bd393d7b]. Schleicher, August. 1853. Die ersten Spaltungen des indogermanischen Urvolkes. – Algemeine Monatsschrift für Wissenschaft und Literatur 3 (September): 786–787 [available here: http://www.mpi.nl/publications/escidoc-2381174]. Slutsky, Yehuda. 2008. Cantonists. – Encyclopaedia Judaica [available here: http://www.jewishvirtuallibrary.org/cantonists]. Smoliński, Józef. 1912. Karaimi i bożnica ich w Łucku. – Ziemia. Tygodnik Krajoznawczy Ilustrowany 3.8: 116–119. Stampfer, Shaul. 1997. The 1764 Census of Lithuanian Jewry and What It Can Teach Us. – Papers in Jewish Demography, 1993: In memory of U. O. Schmelz. Selected Proceedings of the Demographic Sessions Held at the 11th World Congress of Jewish Studies, Jerusalem, June, 1993. Edited by Sergio Della Pergola and Judith Even. Jerusalem. Avraham Hartman Institute of Contemporary Jewry, Hebrew University of Jerusalem, World Union of Jewish Studies, Association for Jewish Demography and Statistics: 91–121. Stampfer, Shaul. 2013. Did the Khazars Convert to Judaism? – Jewish Social Studies 19.3 (Spring–Summer): 1–72. Sulimirski, Tadeusz. 1970. The Sarmatians. London. Thames and Hudson. Sultanski, Mordechay ben-Yosef. 5680 [= 1919/1920]. ספר זכר צדיקים או קיצור אגדה [title romanized: sefer zecher tsadikim o kitsur agada]. With an introduction by the editor (Shmul-Avrom Poznanski) on how Karaites write their history. Warsaw [the first published edition, from a manuscript then held by the library of the Great Synagog in Warsaw and probably destroyed in the Holocaust]. Szemerényi, Oswald. 1980. Four Old Iranian Ethnic Names: Scythian – Skudra – Sogdian – Saka [= Veroffentlichungen der iranischen Komission [der österreichischen Akademie der Wissenschaften 9]. Vienna. Tarelko, Michael. 2013. Review of Németh (2011b). – Karaite Archives 1: 257–260. Trésor = Trésor de la Langue Française informatisé [available here: http://www.atilf.fr/spip.php?rubrique77; accessed on 6 November 2017]. unsigned 2017a. Кенасса. – Википедия – Свободная энциклопедия [updated on 26 April 2017; https://ru.wikipedia.org/wiki/%D0%9A%D0%B5%D0%BD%D0%B0%D1%81%D1%81%D0%B0; accessed on 30 November 2017]. unsigned 2017b. Scythians. – Wikipedia – The Free Encyclopedia [updated on 20 December 2017; https://en.wikipedia.org/wiki/Scythians#Names_and_terminology; accessed on 30 November 2017]. Weinreich, Max. 1954. Prehistory and Early History of Yiddish: Facts and Conceptual Framework. – Weinreich, Uriel. 1954. The Field of Yiddish: Studies in Yiddish Language, Folklore, and Literature Published on the Occasion of the Bicentennial of Columbia University. New York. Linguistic Circle of New York: 72–101. Wexler, Paul. 2002. Two-tiered Relexification in Yiddish: Jews, Sorbs, Khazars, and the Kiev-Polessian Dialect. Berlin, New York. Walter de Gruyter [the author has not proven his thesis]. Wilensky, David A. M. 2017. Near San Francisco, Karaite Jews keep an ancient movement alive. – JTA Jewish Telegraphic Agency (23 February) [available here: https://www.jta.org/2017/02/23/news-opinion/united-states/near-san-francisco-karaite-jews-keep-an-ancient-movement-alive; accessed on 5 December 2017]. Wood, Francis A. 1911–1912. Iteratives, Blends, and Streekformen. – Modern Philology 9. 2 (October): 157–194 [available here: https://archive.org/stream/jstor-3693731/3693731#page/n1/mode/1up; accessed on 5 December 2017].